This installation project was the second of two installations in this refurbishment in Hampshire. 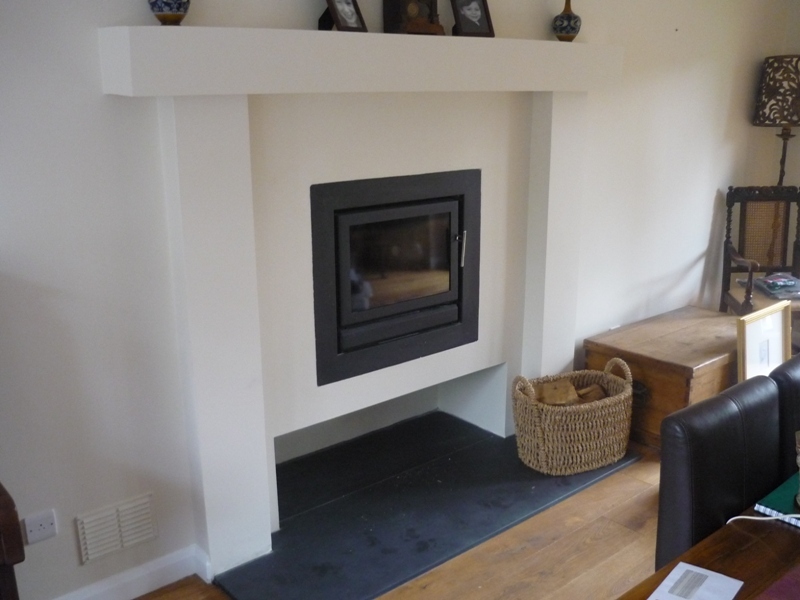 The client requested to have fitted a Riva 66 multi fuel inset fire by Stovax including an extra wide trim. The magnificent landscape Riva 66 multi fuel inset fire not only provides a significant heating capacity but it also is a stunning focal point in any room. The actual installation was into an existing opening and chimney. We had to modify the opening and close it down to accommodate the Riva 66. The images show the original opening was a large brick inglenook and the new fireplace made the whole room look brighter and more spacious. Finally, for more information on installing an inset fire, contact The Billington Partnership for advice.